Money! Pink Floyd's The Dark Side of the Moon mixing desk fetches £1.5m at auction | What Hi-Fi? The mixing desk was also used by some of The Beatles, Kate Bush and The Cure when it was at Abbey Road. No wonder it sold for such a high price. 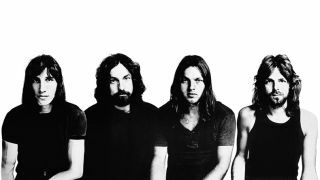 The mixing desk that Pink Floyd used to record The Dark Side of the Moon has sold at auction for $1,807,500 (£1,455,900). Cue the track Money from the second side of the album. The 40-channel EMI TG12345 MK IV was custom-built by EMI engineers at the iconic Abbey Road Studios, and was also used by Paul McCartney and Wings, George Harrison, Ringo Starr, Kate Bush and The Cure. It was used at Abbey Road between 1971 and 1983, according to Bonhams auction house (via Billboard). It was sold by producer Mike Hedges, who bought it from Abbey Road when the studio upgraded its recording equipment. According to the listing, the unit has been referred to as "the greatest console ever constructed due to the collaboration with Abbey Road and EMI engineers, with the production of every component being built to military precision". Brian Gibson, the world authority on TG consoles and ex-engineer from Abbey Road, has said that the mixing desk is recognised by the recording industry as the best-sounding console in the world. The console comes with letters confirming its provenance, a documented history by Brian Gibson, a current technical appraisal stating that the unit is in full working order, a PDF copy of the manual, and a copy of the album The Dark Side of the Moon.